There are different levels of temples. Each family has its shrine, often in the courtyard or entrance to the family compound. There are also small neighborhood temples, each village having three, one for each of the Trimurti gods of Brahma, VIshnu, and Shiva. 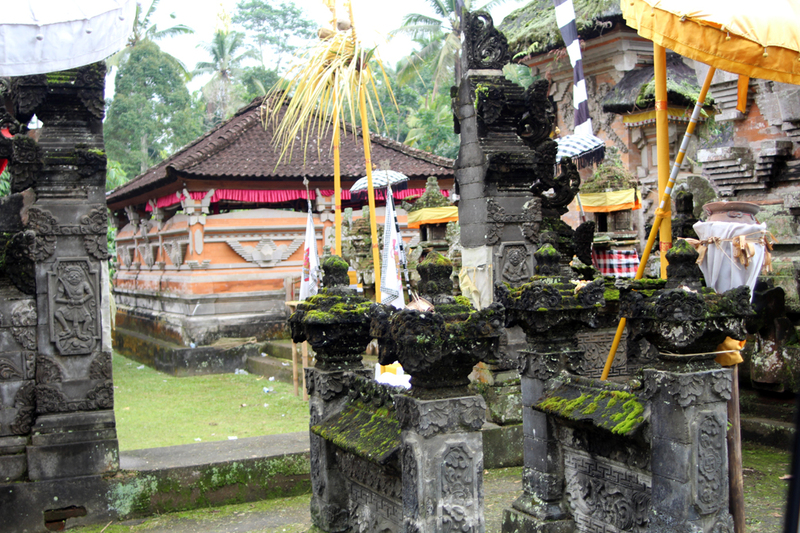 Some larger temples are dedicated to specific gods such as the Temple of Saraswati in Ubud. Then there are the four large regional temples, which include Tanah Lot near Denpasar. All of these are under the mother temple of all Bali, called Besakih. I would be visiting it today.